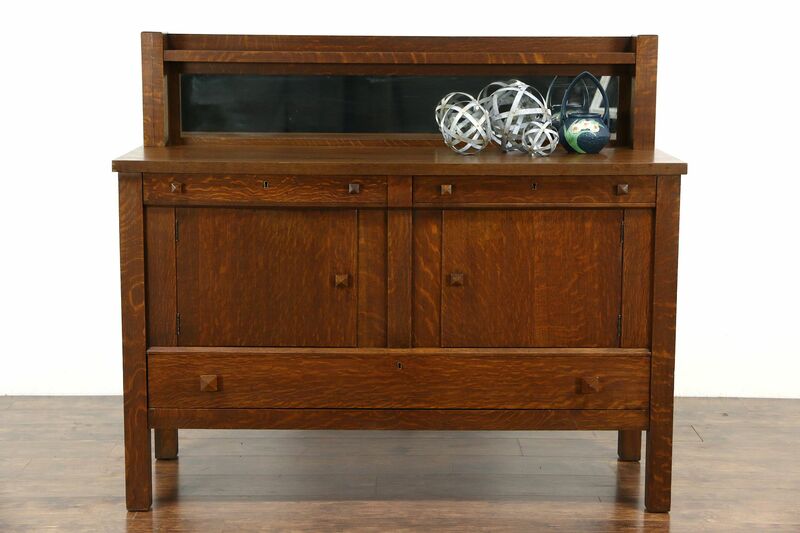 A sideboard, server or buffet from the Arts and Crafts or Mission Oak period dates from about 1905. Quarter sawn oak has an excellent restored finish on this American made antique furniture. The removable gallery has an original mirror with a little smoke to show its age. Size is 60" wide, 22" deep and 51 1/2" tall, the serving area is 38" tall. Please view 22 photos at full screen size for best detail.